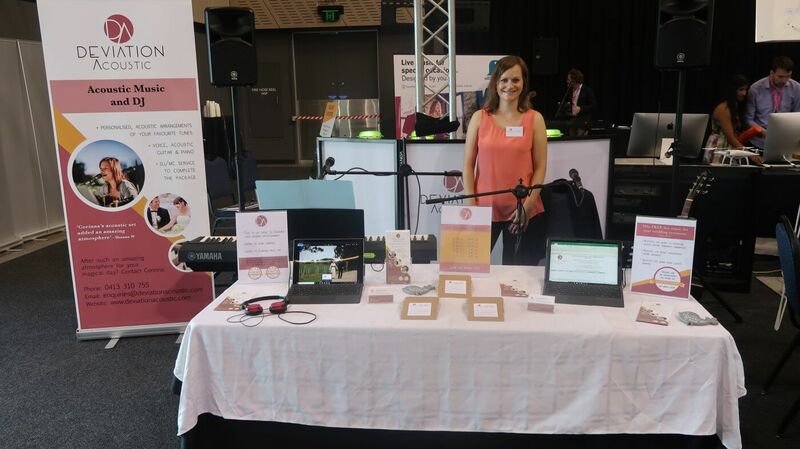 I wanted to say a massive thank you to everyone who came and visited the wedding expo yesterday at the Entertainment Centre. We had such an amazing day! It was wonderful to meet so many lovely couples and chat about their wedding plans. I had a great time playing live acoustic music as always. This year we gave away free CD’s with recordings of my latest covers. It was a huge success! We also had many couples enter to win my Basic package, free live music for their wedding ceremony. The winner will be drawn later today and will be announced on Facebook. Since only one couple can win I have an exclusive offer to everyone else who attended the wedding expo. Stay tuned and see you next time. This entry was posted in Weddings and tagged weddingexpos, weddingideas, weddingplanning.